Monica Sauza details the 167th anniversary of San Miguel …. This upcoming November 21, San Miguel de Cozumel celebrates the 167th anniversary of its foundation. Many events are involved in Cozumel’s history. In 1517 the Spaniards, who were already settled in Cuba (since 1492), decided to explore Cuba’s western waters. 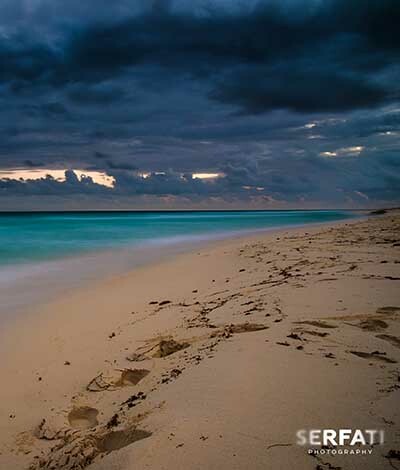 Caught in an unexpected storm, the explorers arrived to the coasts of the land now known as Yucatán. Reasonably enough, the inhabitants were hostile and the explorers fled back to Cuba after this unsuccessful voyage. With news of the recently discovered land, native traders speaking about it and assuming gold would be found, the Spaniards organized a second expedition. On May 3, 1518 Juan de Grijalva arrived to Cozumel finding an empty town as the residents had fled into the jungle. Before carrying on with his exploration of the coastline of Yucatán, Grijalva baptized the Island as Santa Cruz de la Puerta Latina. A year later a third expedition took place commanded by Hernán Cortés; however, two days before Cortés’ arrival, one of his captains, the short-tempered Pedro de Alvarado, had come ashore ransacking the town and the sanctuaries, and while most natives had fled into the jungle, a few were apprehended. Cortés ordered Alvarado to return the natives’ belongings and their release, but it goes without saying that he also ordered the destruction of all objects of worship placing the cross in their stead. living in the mainland; one of them, Jerónimo de Aguilar, became an essential element as interpreter through the inception of the Spaniards’ occupation of the New Spain which began in 1519, and lasted until 1821. As the Spaniards aimed to take over the territory of the New Spain on behalf of the Spanish crown, Francisco de Montejo, who had traveled along Grijalva in the 1518 expedition and later helped Cortés with the conquest, in 1526 was named the “Adelantado” (crown representative), Captain General and Chief Constable of Yucatán and Cozumel by royal decree and in 1527 was ordered to take possession of Cozumel naming it San Miguel de Xamancab. 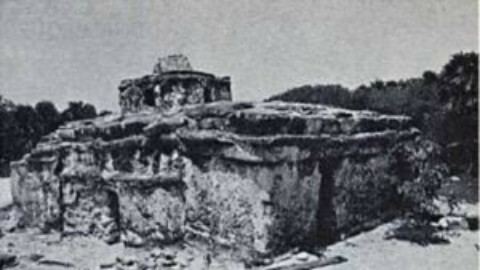 As Cozumel fell under the jurisdiction of Yucatán and due to the tenacious conversion of the natives to the Catholic Church by the Spaniards, an account tells us that by 1584 the then governor of Yucatán wrote a letter to the Spanish king saying that the natives were doing pilgrimages to Cozumel “to make vile sacrifices to their gods”. This brought about the evacuation of the Island’s population by royal decree. 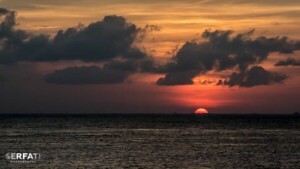 The uninhabited Island, visited only by pirates and corsairs, was repopulated on May 3rd. 1848 by families who fled the War of Castes in Yucatán, namely from Valladolid. Some versions say 16 were the original families, others 11 or 21. These families founded el Cedral (Oy ib) on the south, and San Miguel to the northwest. Upon the request of these families, by 1849 the Government and Congress of Yucatán authorized the foundation of the town of San Miguel in honor of Archangel Michael, adopted as patron saint of the Island. The Territory of Quintana Roo was created in 1935 by presidential decree and the then Governor, Rafael E. Melgar, eliminated the names of saints, thus the name of the Island remained only as Cozumel, as dictated by the 1975 Constitution of the Free and Sovereign State of Quintana Roo. Este 21 de noviembre, San Miguel de Cozumel celebra el 167 aniversario de su fundación. 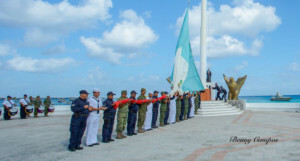 Son muchos los acontecimientos implicados en la historia de Cozumel. En el año 1517 los españoles, ya establecidos en Cuba (desde 1492), decidieron explorar sus aguas occidentales. Atrapados en una inesperada tormenta, los exploradores llegaron a las costas de las tierras que ahora se conocen como Yucatán. 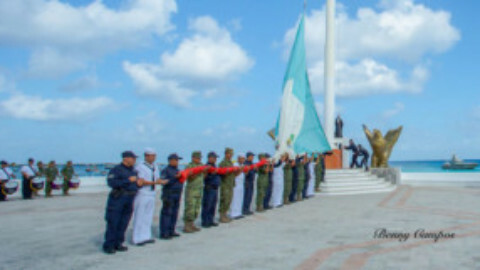 Durante su estadía en Cozumel, Cortés se enteró de la existencia de dos españoles sobrevivientes del naufragio de una expedición anterior (1510) quienes vivían en tierra firme. Uno de ellos, Jerónimo de Aguilar, se convirtió en un elemento esencial como intérprete durante el comienzo de la ocupación española en la Nueva España que inició en 1519 y duró hasta 1821. Como el propósito de los españoles era dominar el territorio de la Nueva España a nombre de la corona española, Francisco de Montejo, quien viajó con Grijalva en la expedición de 1518 y después ayudó a Cortés en la conquista, por decreto real en 1526 fue nombrado el “Adelantado” (representante de la corona), Capital General y Alguacil Mayor de Yucatán Y Cozumel, y para el año 1527 le fue ordenado tomar posesión de Cozumel dándole el nombre de San Miguel de Xamancab. Como Cozumel se encontraba dentro de la jurisdicción de Yucatán y en virtud de la férrea conversión de los indígenas por parte de los españoles a la iglesia católica, una relación cuenta que en 1548 el entonces gobernador de Yucatán escribió una carta al rey español señalando que los indígenas hacían peregrinajes a Cozumel, para “realizar malvados sacrificios a sus dioses”. Esto trajo como resultado el desalojo de la población de la Isla por decreto real. 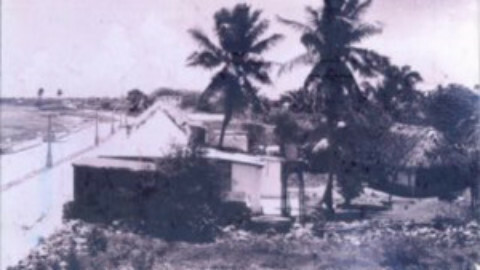 La Isla deshabitada, visitada sólo por piratas y corsarios, fue repoblada el 3 de Mayo de 1848 por familias que huían de la Guerra de Castas que ocurría en Yucatán, principalmente en Valladolid. Algunas versiones dicen que las familias originales fueron 16, otras versiones hablan de 11 o 21.